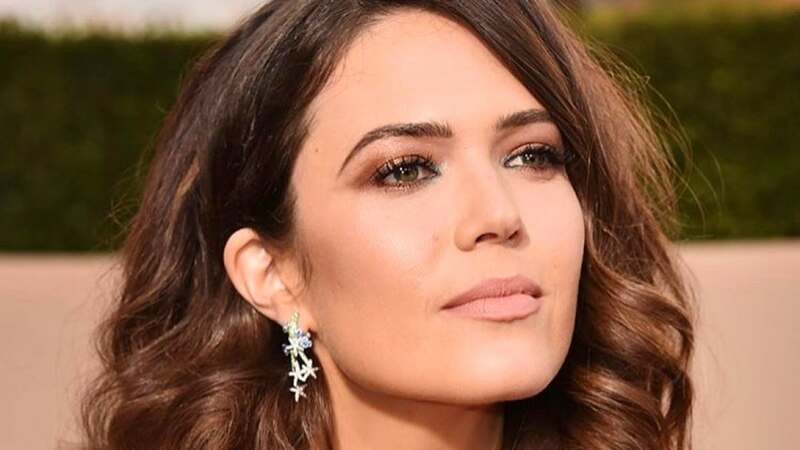 Mandy Moore was presented with the 2,658th star on the Hollywood Walk of Fame on Monday. The actress, 34, was celebrated for her career in film, television and music in a ceremony attended by Dan Fogelman, the creator of the NBC drama "This is Us," which Moore stars in, as well as her co-stars on the show and Shane West, who starred alongside Moore in the 2002 film "A Walk to Remember." "It is a tremendous honor to join the ranks of talents whose stars and legacy line Hollywood Boulevard," Moore said. "As a little girl from Orlando, Fla., who got her start singing the National Anthem, I'm not sure I ever remember having dreams this big. I never thought something like this would actually come to life, but yet here we are and it's deeply humbling and weird." Moore reflected on her career and the "two monumental projects that represent both where I started and where I am now," in "A Walk to Remember" and "This is Us." "It takes just one person to see a spark in you, to see you in a way that you may not see yourself, to give you permission to go beyond what the world may or may not expect of you and completely change the path of your life and career," she said. Fogelman poked fun at Moore's early recording career, reading aloud the lyrics to her single "Candy," as fellow "This is Us" cast members Milo Ventimiglia, Sterling K. Brown, Jon Huertas, Justin Hartley, Chrissy Metz and Susan Kelechi Watson were in attendance. He then recalled his experience working with Moore on the Disney animated film "Tangled." "There's a reason Mandy for so many years has gotten typecast in America's Sweetheart type roles, it is because she is one," he said. Moore recalled her time working on "A Walk to Remember" and praised her "sweet co-star" West, who she said was "exceedingly patient, kind and so talented." "Honestly, none of us knew that project would have the reach and resonance it's had over the years, with new generations discovering it and falling in love with a story that will forever hold a very special place in my heart," she said. West returned the compliments, calling Moore an "absolute gem," adding that her "energy is irresistible and your heart is second to none." "I always knew you were incredibly talented and I always knew you would go on to do big things, amazing things and you have. Here you are about to be immortalized on Hollywood Boulevard," he said.